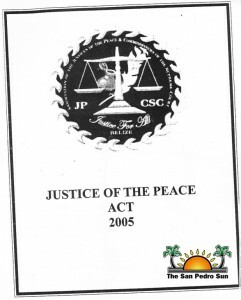 The Government of Belize (GOB), through the Attorney General Ministry office, has approved, gazetted and enacted the Justice of the Peace Act of 2005. It’s a very important piece of legislation that will make the work of the Association of Justice better. The Act has been awaiting approval, and has been the constant calling of the organization, since 2005 when it was shelved pending approval. The Act came into effect February 21st after the Attorney General of Belize Wilfred Elrington signed it into law. Danny Madrid, National President of the Association of Justices of the Peace (JP) and Commissioners of the Supreme Court said that the enactment of the Act is a big step and will give their association more autonomy. “This means that the association will be able to do its work in a more professional way and will be able to deal with those Justices of the Peace who commit themselves. 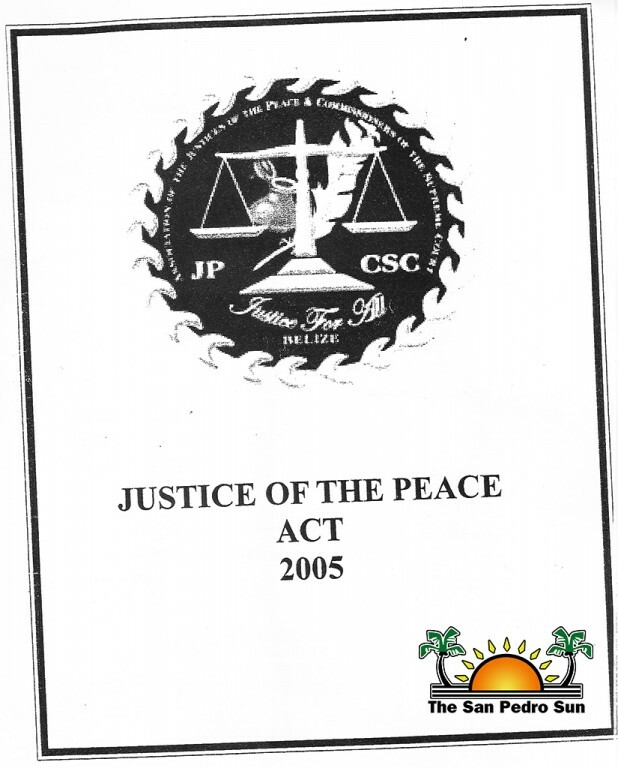 The Act actually tells you that if a Justice of the Peace is caught charging for their services or giving wrong information or signing wrong documents, the JP can even go to prison,” said Madrid. He outlined that the most important thing in having the Act enacted is the way in which JPs are being appointed. “The main thing in this Act is that now if any Area Representative or Minster wants to appoint JPs, they will be doing it through the JPs Association. By doing it through the association, we will then interview the person. When you apply through the association you have to supply a police record, you have to submit two letters of recommendation and you must give a reason why you want to become a JP. Even before you can sign a document you must attend training. This was not happening under this administration. As you know they were just appointing a JP because he campaigned for a certain person. Because of the way JPs were appointed, there were a lot of them who didn’t know what they were doing and yet they committed themselves. Sometimes, after they were appointed, we found out that some of them even had a criminal record and through the association that will no longer happen. If someone applies through the association and has a bad police record then person cannot become a JP,” said Madrid. According to the National President, with the enactment of the Act, most of the political interference where appointments are concerned have been removed; however the Attorney General still has the last say. “The association is only able to recommend, not appoint. The Minister (Attorney General) still has the last word,” emphasized Madrid. He added “What the new Act does is that it gives us more autonomy and we will be able to work closely with the Attorney General Ministry.” Madrid is hopeful that in the next coming weeks, they will be working with the Ministry of Immigration and Nationality in an attempt to familiarize them with the new Act. In addition, he is also hopeful that training for its membership as it relates to Immigration and Nationality documents will be forthcoming.